As the largest city in Texas and the fourth largest metropolitan area in the U.S., Houston enjoys a unique position on the American landscape. Home to more than two million people and encompassing nearly 600 square miles of territory, Houston is known for its innovation in the aerospace and energy fields and offers numerous employment opportunities for its residents. Before air conditioning became generally available in the 1950s, Houston’s economic growth was somewhat hampered by its hot and humid climate. Today, residents of this vibrant city continue to depend on reliable climate control solutions to stay cool throughout the long, hot summers of Houston. All Out A/C & Heating offers you and your family the Houston HVAC repair services needed to beat the heat this summer and manage costs effectively all year long. 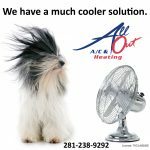 At All Out A/C & Heating, we specialize in providing homeowners in Houston with air conditioning repair services designed specifically to enhance comfort and ensure the most cost-effective resolutions for our customers. We truly do go all out to deliver the fastest and most reliable repair services and have built a reputation for quality work and responsive customer service throughout the Houston metropolitan area. 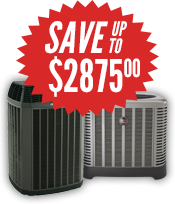 All Out A/C & Heating has more than 25 years of practical experience in providing Houston air conditioning repair and replacement services. Our certified technicians can identify and resolve your air conditioning problems quickly to restore cool comfort for your family and your home. 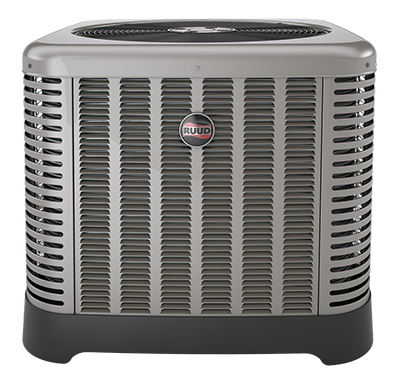 Our status as an authorized dealer for Ruud and Trane systems allows us to provide you with real options and 100 percent financing on new installations with approved credit. We offer expert service for all makes and models of air conditioning equipment and work with you to determine the best approach to your Houston air conditioning repair needs. At All Out A/C & Heating, we are committed to your absolute satisfaction and comfort. Our phones are answered 24/7 to make sure that you receive the fastest service for your emergency AC service needs. Call us today at 281-238-9292 to experience the best in Houston HVAC repair for yourself.